Act now and save up to 60% on clearance from Atmos. 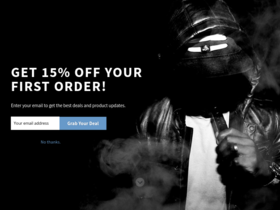 Sign up for emails from Atmos and enjoy a 15% discount with code. Shop online at Atmos and enjoy free shipping on your order of $99+. Act now and take advantage of their latest special offers.